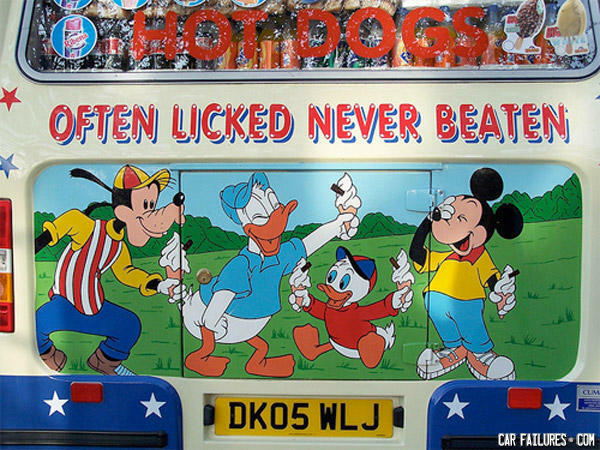 WHAT IS WRONG WITH GOOFY'S EYES?!?!? America, take your trash back. We don't want it in the UK. "America, take your trash back. We don't want it in the UK." It's an ice cream truck, azz hat. Still smarting over the beatdown the Yanks gave you? Sod off, ya fookin git.